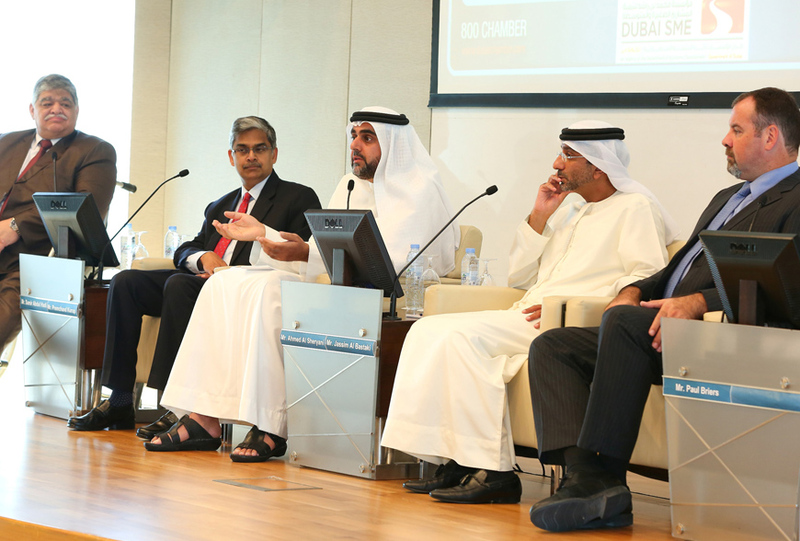 Organised by the Dubai Chamber Sustainability network in partnership with Dubai SME, the networking conference brought together a number of leading companies in the region to highlight the importance of CSR in today’s business environment and to showcase examples of successful companies. The conference objective was to create awareness amongst SME’s and to facilitate the wider adoption of responsible business practices. Paul Briers, Projects Director for Summertown Interiors, presented Summertown Interiors’ case study, highlighting examples of the economical benefits that CSR brings and how it can enhance productivity within an organization, resulting in improved bottom line for companies. The presentation was followed by a Q & A session for the audience with other key note speakers. “The launch of the program by the Sustainability Network is a fantastic opportunity for SME’s in the region to learn and enhance their credibility, increasing their competitive advantage. Integrating CSR into your business strategy certainly pays – since being a part of this group we have reaped the benefits in terms of improving our efficiency, productivity, we have a happier workforce and our revenue has increased” states Briers. Vineetha Matthews, Senior Executive – CSR Centre for Responsible Business adds “Summertown Interiors are a great example of how an SME can use CSR as a framework to support their wider business objectives. We are proud to have played a part in their success by assisting them on their CSR journey”. In 2014, Summertown was recognised for its CSR practices by the Dubai Chamber, having received for the third year running the CSR Label. Summertown also recently won the ‘Sustainable Business of the Year’ award presented during the Gulf Capital SME Awards and ‘Employee Engagement of the Year’ award at the Daman Corporate Health awards.